What’s The Idea? is a brand consultancy that works upstream of creative development, providing clients with an organizing principle for product, experience and messaging. Steve Poppe is managing partner at What’s the Idea? He began his career at ad agency Poppe Tyson, then moved to McCann-Erickson and FCB. Poppe was recruited by Pequot Ventures in 2006 to head up marketing at Zude.com a $10M start-up and the Web’s first drag-and-drop social media platform. In 2008 he founded What’s the Idea? specializing in start-ups and challenger brands, but ended up catching the eye of Fortune 500 companies as well. Notable clients include Abbott Nutrition, ConAgra, Handcraft Mfg., JPMorgan Chase, Microsoft, PricewaterhouseCoopers, Samsung, Sunkist Energy and Trail of Bits. His behavioral science and anthropology degree and strong business skills offer clients a unique right brain/left brain perspective. 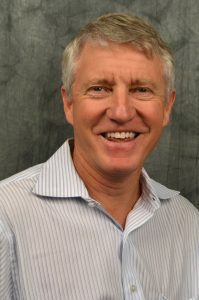 Over his career Steve has also created successful marketing strategies for Adecco, AT&T, Capgemini, Esselte, Intrawest Resorts, Isopure Plus, Lucent Technologies, Newsday, North Shore-LIJ Health System, Protica Nutritional Research, Teq, U.S. Airways and ZDNet. Poppe publishes a daily marketing blog and speaks on branding, social media and technology marketing. Steve refers to himself as a “beyond the dashboard” planner. Email Steve at Steve@WhatsTheIdea.com. Connect with him on Twitter, LinkedIn, Instagram, or Facebook. JoAnn DeTurris, Vice President, Handcraft Manufacturing Corp.